This fall, I was tasked with making macarons for a 200+ person wedding for some of our closest friends. As soon as I started, I regretted committing to the project! Making 500 macarons in an apartment kitchen is a fool’s errand. My recipe at that time was inconsistent at best. My approach was to make twice as many as I needed because I knew I would end up throwing away half of them. Even after making almost a dozen batches they were still so finicky! The thought of making 2,000 macaron half shells (to get to 500 macarons) just about put me into therapy! I started having visions of going to Costco and buying store bough macarons to pass off as my own. Then I realized this would cost me hundreds of dollars and I knew I had to try something different. 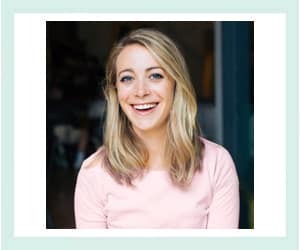 About that time, my friend Sarah from Snixy Kitchen posted on Instagram stories about her macaron recipe that was so easy her toddler was helping her do it. Even though the recipe was for matcha macarons, I figured I could adapt it for the bride’s request of lemon and lavender french macarons. Sarah’s recipe cured my macaron struggles! Even with my modifications the recipe consistently produces uniform macarons with uncracked shells, thick feet and great taste. 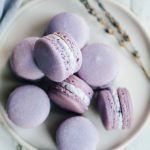 Sarah goes into great detail on things you can do to increase your success with making macarons, including perfecting the macaronage (macaron batter) in her post here. They are fragrant without being overpowering or soapy as lavender desserts can sometimes be. 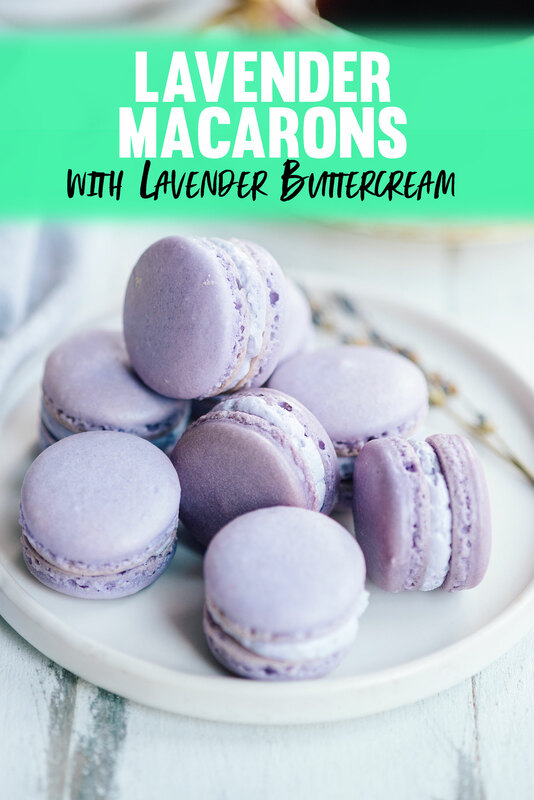 The macaron shell recipe is my new favorite and basically foolproof! 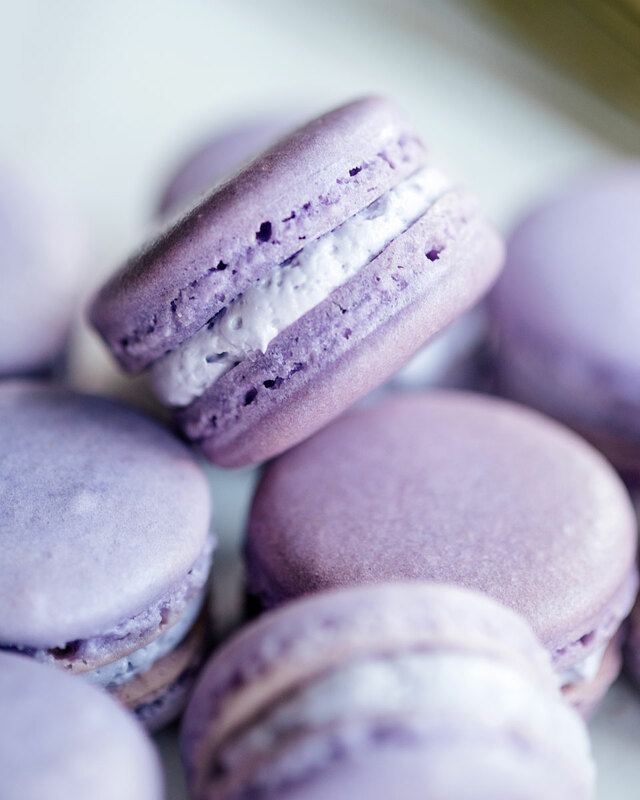 It uniformly produces amazing macarons! 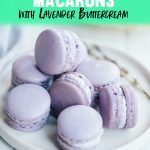 Lavender buttercream is the perfect filling and also works great for cupcakes and cakes. Macaron shells store well in the freezer for future use. 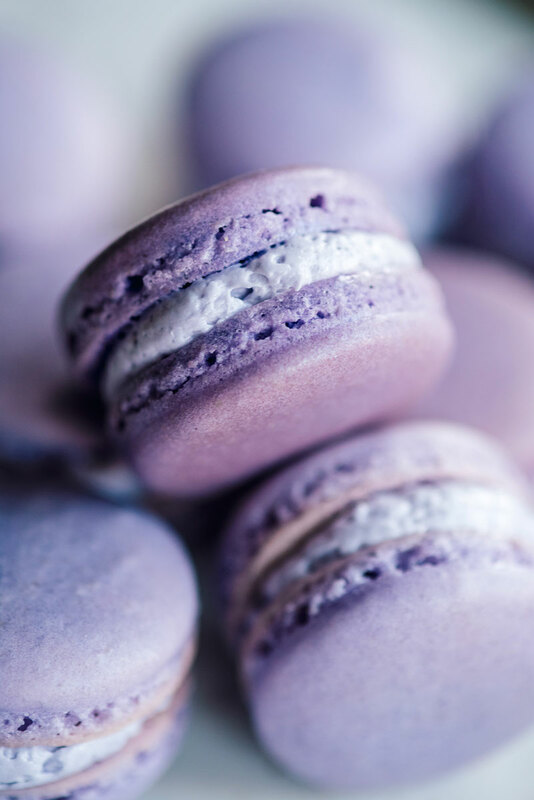 First, read Sarah’s tips to know what the consistency of the macaron batter should be. Sift together almond flour and powdered sugar with a fine mesh strainer. Sift a second time and set aside. Whisk the egg whites and granulated sugar in the bowl of a stand mixture fitted with the whisk attachment. Increase speed to medium (4 on a KitchenAid) and beat for 2 minutes. Increase speed again to medium-high (6 on a KitchenAid) and beat for an additional 2 minutes. Increase the speed to high (8 on a KitchenAid) and beat for another 2 minutes. The egg whites should be very stiff and glossy, and clump together in the bowl. Remove bowl from mixer stand. Add the sifted dry ingredients to the bowl in a single addition. Use a spatula to fold the dry ingredients into the meringue using a figure eight motion, cutting the flat side of the spatula through the center of the batter and pressing it against the side of the bowl. Repeat until the batter reaches the consistency of molten lava, about 40-43 strokes. Fill an extra large pastry bag fitted with a 3/8-inch round piping tip with macaron batter. If you notice some unmixed dry ingredients in your bowl do not add them to the piping bag. Pipe the macaron batter on to baking sheets lined with parchment paper. If the parchment paper corners curl up, use a dab of macaron batter to ‘glue’ them down. 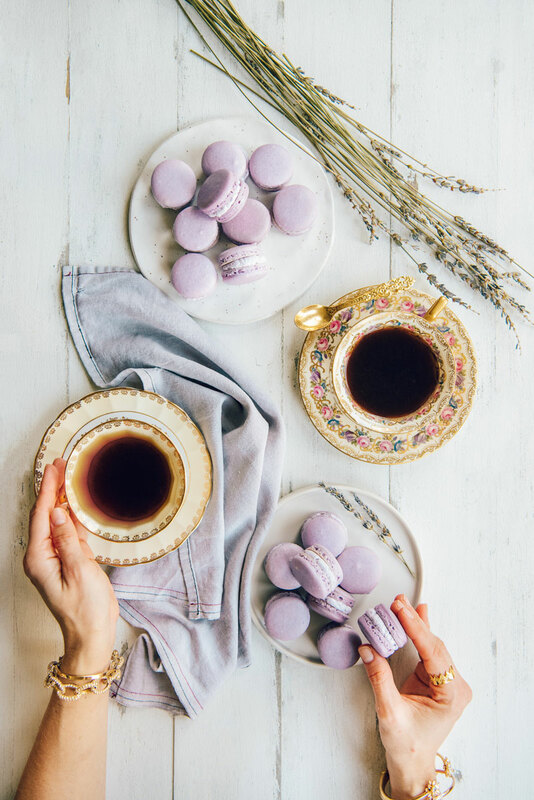 To get consistent sizes, you can use a printable macaron guide under the parchment paper. Just be sure to remove the template before baking. 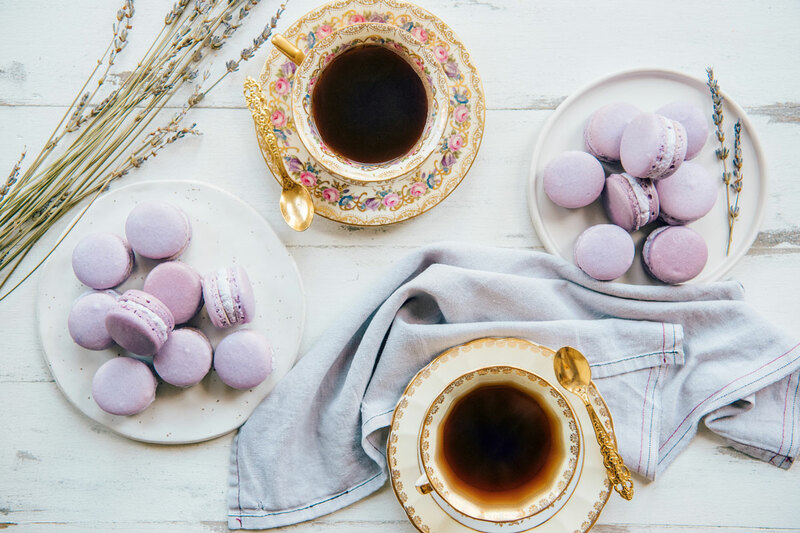 Pipe the batter into a 1 1/2-inch round, swirling the tip and lifting straight up at the end of each shell, spacing the macarons at least 1 1/2 inches apart. Bang the baking sheets firmly on the counter 2-3 times to release any air bubbles. If there is a peak on the shell you can use a toothpick to smooth it. Let rest for 20-30 minutes, until the macarons are dry to the touch and the batter doesn’t stick to your finger. Bake one sheet at a time until they have risen, and the tops no longer jiggle from the feet, 13-16 minutes. Let cool completely before filling with lavender buttercream. Bring a medium pot filled with one inch of simmering water to a boil. Place the egg whites and sugar in a stainless-steel bowl (like a stand mixer bowl) and place on saucepan. Use a whisk to beat the mixture until very hot (about 160F). Pair the macaron shells by similar size and shape. Put buttercream frosting in a piping bag fitted with a 3/8-inch round piping tip. Pipe a dollop of frosting onto half the macaron shells and gently make a sandwich with the second macaron shell. 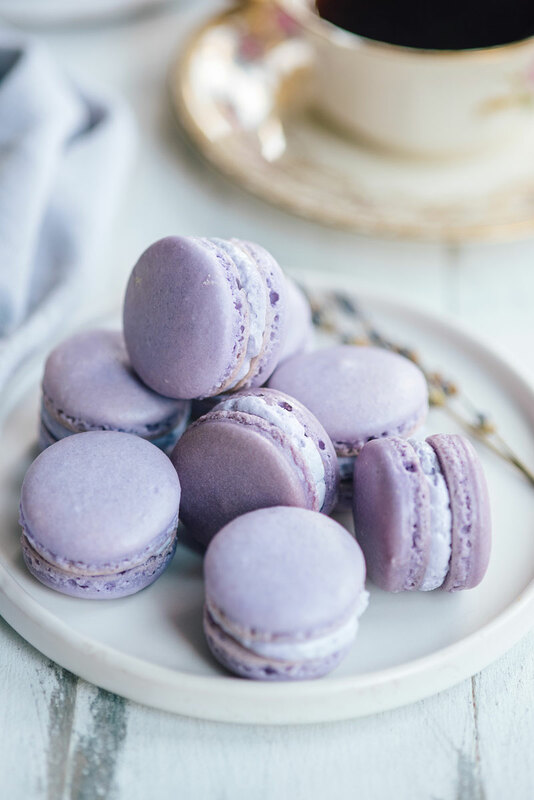 If not eating immediately, store the macarons in an airtight container in the fridge. Flavor will improve with 2-3 days of ‘ripening’ in the fridge. If not using in that time frame, store unfrosted shells in an airtight container in the freezer for up to 3 months. * There’s a fine line between fragrant and soapy when it comes to lavender! I suggest adding a drop or two at a time to figure out the right fit for you. **Notes on Making & Troubleshooting Buttercream Frosting: If the frosting is too soft and doesn’t seem to be coming together, it’s possible that it’s too warm. You could try popping it into the fridge for 10-15 minutes and then re-mixing with the paddle attachment in your electric mixer until it comes together and is smooth and satiny. In general it’s hard to over-whip buttercream, so I would err on the side of mixing it longer to see if you can salvage it, even as long as 15 minutes!